Saint Hilarion (Ponamarov) was born in Kluch on the night of Pascha, April 8-9, 1805. Nikita and Euphemia Ponamarov named their third son Rodion in honor of Saint Herodion of the Seventy. He always considered April 8, the day of his patron saint’s commemoration, as his birthday. After Rodion, a son and a daughter were born to the Ponamarovs. The daughter, however, died as a baby. Nikita Ponamarov worked in town as a tailor, and sometimes his business took him to the homes of the local landowners. Consequently, Rodion seldom saw his father until he was fifteen years old. Rodion was a quiet, uncoordinated child who did not play much with other children, since they made fun of his clumsiness. Even members of his own family behaved in a rude manner toward him, and seldom showed him any affection. The way he was treated made him thoughtful and introspective. One winter he was playing in the snow with some friends, using an old board as a sled. The board broke and left Rodion with a permanent scar on the finger of his left hand. Another time he injured himself on a saddle-horn while riding. These injuries also had an effect on his health, which was never robust. The family moved to the Novopersk region of Voronezh in 1820, and Rodion lived there until he was twenty. He helped his father in his work, and gradually acquired skill as a tailor. His parents wanted him to follow this trade, even though his mother once foretold that he would be a monk. Rodion himself desired the monastic life even as a young child, but now he applied himself to tailoring, for he knew that this handicraft would be very useful in the monastery. Rodion went to Moscow in December of 1825 in order to learn more about being a tailor, arriving with very little money, and with nowhere to stay. He worked with various tailors, but the work was difficult and he became ill. His poor health, he said in later life, probably saved him from falling into many vices. Having increased his proficiency as a tailor, Rodion left Moscow and returned home. The family moved again in 1829, this time to Saratov. Rodion was engaged twice, but the Lord did not want him to follow this path. His first fiancée died after a short illness, and Rodion simply lost interest in the second. Saratov was the home to many sectarians of all sorts, and the future saint became involved with certain activists who tried to refute their false teachings. 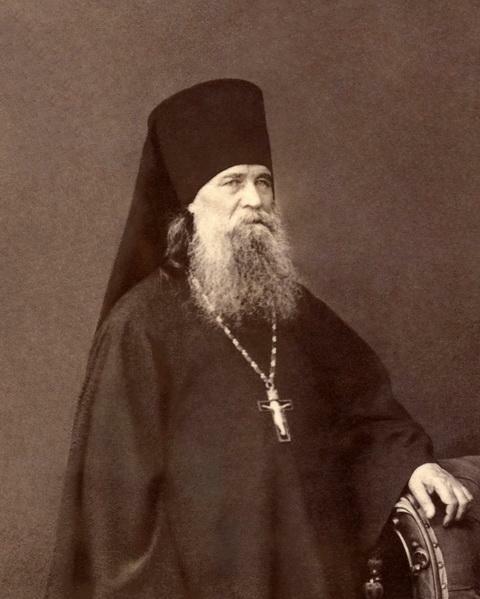 Rodion’s missionary labors may have influenced many sectarians to return to the Orthodox Church. Because of some misunderstanding, however, Rodion and his friends were put on trial. As a result, the authorities kept Rodion under observation for the next four years. This scrutiny was hard for him to endure, and made it very difficult for him to conduct his affairs. Through his study of the Holy Scripture and the writings of the holy Fathers, Rodion’s desire to become a monk was reawakened. Therefore, he decided to find the monastery which was most suitable for him. In 1837 and 1838 Rodion visited monasteries at Sarov, Suzdal, Rostov, Tikhvin, Moscow, Pochaev, and other places. Finally, he arrived before the gates of Optina. He was thirty-four years old. At first, Rodion was placed in a cell next to Father Barlaam, a retired igumen of Valaam Monastery. Father Barlaam was a man of great spiritual stature, who had a profound influence on the young man, and became his first instructor in the Jesus Prayer. In later years, Elder Hilarion recalled visiting Father Barlaam to tell him of the various things he had seen or heard. Father Barlaam would ask, “Is that useful? It would be better for you not to see or hear anything. Try to examine your thoughts and your heart more often.” With his wise counsel, Father Barlaam helped Rodion in his spiritual growth as a monk. Saint Anthony (August 7), the Superior of the Skete, was transferred to Maloyaroslavets on December 1, 1839. He was replaced by Saint Macarius (September 7), the monastery’s confessor. Rodion was assigned to be his cell attendant, remaining in this obedience until the Elder’s death in 1860. 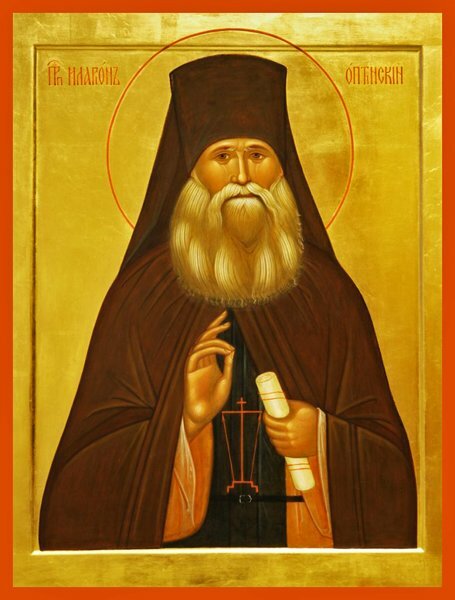 Rodion went to Father Macarius for Confession, and to Saint Leonid (October 11) for the daily revelation of his thoughts. In an effort to cleanse himself of the passions, Rodion renounced his own will and obeyed Elder Macarius in all things. Father Macarius was very strict with the novices, and would not permit the slightest disobedience. He was never the first to bring up a person’s failures and shortcomings, but waited for him to confess his own negligence. He taught the novices to love their neighbor, and to bear their afflictions with patience. From the time Rodion came to Optina, he had other obediences in addition to serving as cell attendant to Father Macarius. He also tended the flower and vegetable gardens, and worked as a baker, and a bee-keeper. He carried out every task assigned him without complaint. While his spiritual progress was hidden from men, it was certainly noticed by the all-seeing God. In due course, he received the monastic tonsure and was given the name Hilarion. Father Macarius recognized his disciple’s spiritual maturity, and predicted that he and Saint Ambrose (October 10) would succeed him as Elders after his death. Elder Macarius therefore entrusted Father Hilarion and Father Ambrose with giving counsel to his many spiritual children. As the closest disciple of Saint Macarius, Father Hilarion was chosen to be Superior of the Skete, and the monastery’s Father Confessor. He confessed all the brethren entrusted to him five times a year, once during each of the Fasts, and twice during Great Lent. Each monk was questioned about the details of his inner life, and was given advice on how to conduct himself in future. Once he finished hearing the Confession of the monks, Father Hilarion began confessing the nuns, and the men and women who came to him from various places. Although there were many people, Father Hilarion never refused anyone. He rarely gave his own opinion, but quoted from the Scriptures or the writings of the Fathers. Sometimes, he would tell people what Father Macarius had said in similar situations. He was very effective in giving advice, because he always practiced what he preached, and he had already experienced the things that were troubling his spiritual children. The Elder led people to feel sorrow for their sins, and through his questions he brought them to an awareness of their spiritual state. Sometimes he would help them to remember sins which they had forgotten to confess, sins which might lie at the root of their spiritual infirmity. He gave penances according to a person’s age, health, and circumstances. He might require the penitent to read certain prayers, do prostrations, give alms, and to avoid those habits and amusements which are not fitting for a Christian. Many people received much benefit from confessing to him, and continued to live according to the advice he had given them. Not only were they cured of their spiritual afflictions, but sometimes Father Hilarion also healed them of their physical or mental illness as well. Father Hilarion, by God’s providence, became seriously ill for two years. All during that time he did not ask God to let him recover. Instead, he asked to be given the patience to help him bear the illness. He received Holy Communion frequently, and twice he was given Holy Unction. During the last thirty-three days of his life, Father Hilarion partook of the life-giving Mysteries of Christ every day. In the last four weeks of his life, the Elder was unable to lie down in bed because of water in his lungs. Therefore, he remained seated on a couch in front of a portrait of Father Macarius. He experienced great discomfort, and was not able to sleep very well. Father Hilarion observed the cell rule of prayer until the last moments of his life. Early on the morning of September 18, 1873 he listened to the morning rule being read, and received Holy Communion at 1:00 A.M. Five hours later, he rested from his labors and gave his soul into the hands of God. It is said that during Father Hilarion’s final illness, Saint Macarius appeared to him many times in his dreams. As he drew closer to death, these appearances became more frequent. He died with his prayer rope in his hands, and was buried next to his beloved Elder Saint Macarius.